Lots of people are in love with the idea of building a home, but can’t seem to pull it off for a variety of reasons. Chief among those reasons is the ability to find an available lot in the part of town that has access to quality schools, shopping, and entertaining activities. Most of those spots are occupied by current homeowners or properties that need some major work. However, there is another alternative. The HomeStyle Renovation Loan, a conventional mortgage offered by Fannie Mae, will allow people to purchase a home AND get the money for repairs all with one loan. People that qualify for a conventional mortgage can typically qualify for the Fannie Mae HomeStyle Renovation Loan. They will need to make a small down payment which is a percentage of the value of the home after repairs have been made. This means that one loan, at a very attractive rate, can be used to purchase an existing home and make a wide variety of repairs. 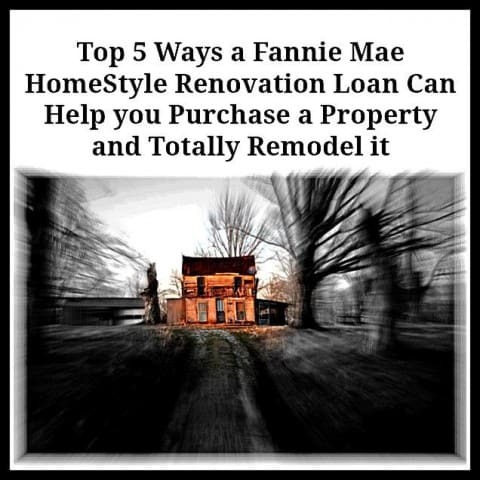 The Fannie Mae HomeStyle Renovation Loan can be used to purchase numerous types of homes. A single-family home, duplexes, quad-plex and even PUD’s. This could be a way for people to start on their path to real estate investment since there is no living status requirement. Imagine buying a duplex and living in half the property while renting out the other half to cover most, or all, of the monthly mortgage payment! The first guideline to consider is the debt and income ratio rules for conventional mortgages. Typically, the ratios are 28% and 36%, however, these are not written in stone. In fact, numerous borrowers have been able to get approved with one or both numbers at higher ratios due to other compensating factors such as substantial savings or retirement account, higher credit scores than average or an overall stable history of employment and living status. Your lender can review your complete application and provide you with an answer from the automated underwriting system used by Fannie Mae. However, for people that can qualify for a loan up to $484,350 there is a lot of money available for renovations. Up to half of the home’s proposed repaired value can be used to repair or improve a home. This means that a home currently worth $150,000 but could use $100,000 in repairs and modifications could be a very realistic scenario. What Repairs and Modifications are Allowed? This is the good part of the deal! Fannie Mae will allow almost any type of repair to the home. This can include a new roof, updated heating and air conditioning system, better insulation, new floor covering, energy efficient doors and windows, plumbing and electrical repairs, and on and on. Even better, the loan allows for luxury items. High dollar pieces such as swimming pools, outdoor kitchens, and luxurious landscaping can be financed in the loan. So long as the improvements are permanently fixed to the property and add value, most anything goes. One of the most appealing parts of the Fannie Mae HomeStyle Renovation Loan is the ability to borrow money to cover the mortgage payments while the home is repaired and/or modified. This means that up to 6 months of the principal and interest payments can be borrowed as part of the loan. Borrowers can continue living in their current home while waiting for the improvements to be completed on the new home. 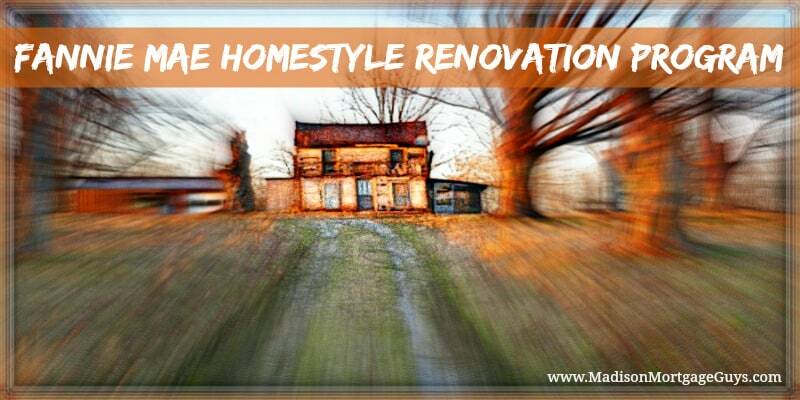 If you find yourself saying “I love this home’s location, but I wish the home was ____________(bigger, more bathrooms, better color, new floors, etc)” then the Fannie Mae HomeStyle Renovation Loan could be the answer you have been searching for. Contact us below or apply online to see if you qualify for the Fannie Mae HomeStyle Renovation Loan!